For some people, a high rolling Las Vegas holiday is one of the great pleasures of life. The glitz and glamour of the shows, the endless amounts of food and drink and the thrill of gaming in the casino hot spot of the world makes it one of the top getaways on the planet. But not everyone can throw down a few thousand bucks every time they get the itch to sit at a blackjack table and try their luck. 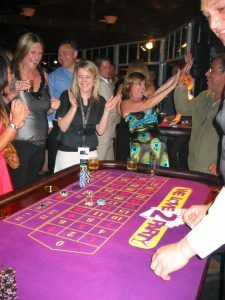 For this reason, hosting a casino fun night party has become very popular. 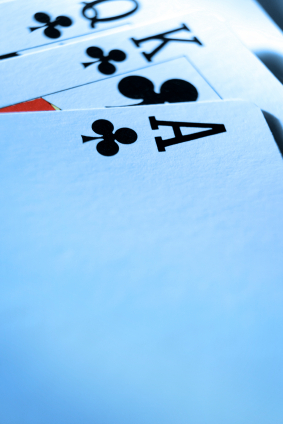 Hosting a FUN casino night can be a lot of fun — if you do it right. It’s one thing to host a poker party and set up a few card tables in your living room. But if you want to throw an authentic casino night event, then you’re going to want more options for your guests and the proper equipment to enhance the experience. If you have the budget, having some real dealers can make a big difference in the overall experience of your guests. One of the great things about a casino fun night party is that you can have a great time throwing a rocking party all for a good cause. If you’re considering a casino night, think about partnering with a local charity to help raise some funds or throw the night to fundraise for the school, sporting club or similar. There are several ways you can go here. One option is to charge money for tickets to attend the casino event with inclusions. Typically, the ticket will also buy guests a certain amount of funny money to get them started. Or you could have a minimal entry, but the guests have to donate to a cashier to get their funny money. Love 2 Party is your one stop shop for the ultimate FUN Casino night in QLD and other areas. We have authentic and stylish casino equipment with professional yet FUN Croupiers who enhance the evening displaying their casino skills and interacting with your guests, breaking a rule here or there in the name of FUN. We have done all types of casino fun nights and all themes, making us specialists in the industry with a variety of casino games including Blackjack, Roulette, Poker, Money Wheel, Craps and 2UP. There are many services that can compliment your function and entertainment so feel free to have a chat today about your upcoming event.